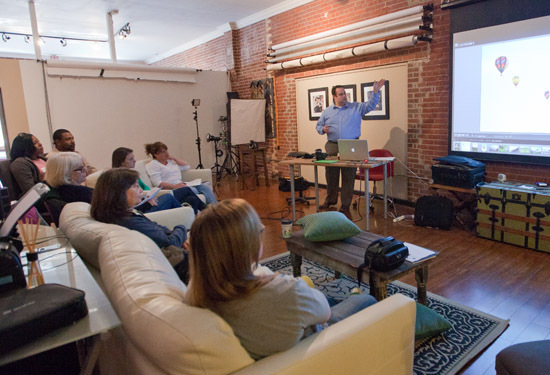 This is a DSLR photography and mirrorless camera class for beginners. One portion of the day will be classroom instruction mixed with some hands-on exploration of your camera. We’ll go outside (weather permiting) for the other part and do some shooting. You’ll also have an opportunity to take a look at some of your photos with the class and discover ways to improve your overall shooting skills. 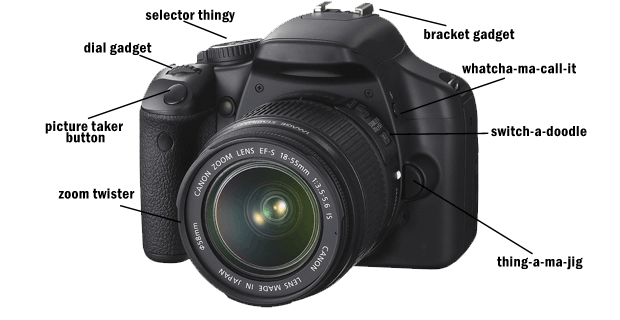 Have a new digital SLR or mirrorless camera and want to know what to do with all those buttons and menu settings. Are wanting to get better photographs of your kids, other family members, and pets. Love to travel and would like to create a portfolio of your adventures to be shared and enjoyed for years to come. Are an ebay/craigslist fanatic and want to create more convincing photographs of your sellable items. Would like to take better photographs to show off your business’ products or services. Did you recently get a new camera? Have you had that DSLR (Digital Single Lens Reflex) or mirrorless camera (we’ll talk about what it means in the class) camera sitting at home and were never quite sure how to use it to its fullest potential? Now is the time to learn about all those bells and whistles that’ll let you make better photographs. Yes, that’ll mean you have to turn the dial to something other than “Auto,” but this class will show you how to make the best photographs possible in all types of situations. You don’t need ANY advanced knowledge or experience to take this class. It’s perfect for both individuals and couples. We’ve all taken photographs only to find out that they didn’t turn out the way we saw them with our eyes or in our mind. Bring a USB thumb drive or a disc with a handful of photographs that either you’re proud of or would like to make better. We’ll work to identify the photograph’s strong points and determine ways to improve or change the way the photograph was made. This isn’t a tough critique, but it’s a great way to look at your photographs objectively and focus on specific aspects of the class that are most important to you. The Muse 10 Photography studio on Main Street in downtown Greenville, SC. The studio is located one block from Fluor Field (Greenville Drive), directly across from the new development (The Greene Urban Living Apartments) in a one story brown painted brick building. We are directly next door to West End Coffee Shoppe. Lots of street parking is available nearby. Be sure NOT to park in reserved areas or lots!